The September patch update for OAC brought a few cool little features which might be of interest to Essbase users. I thought today, we’d take a look at some of them. 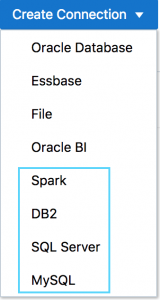 In this post, we will look mainly at changes from the Essbase console. I will devote a post to some of the behind the scenes updates later. One of my favorite new features, is the addition of the new calculation script editor. We finally have syntax assistance from the script editor window. This is something that has been missing for a while, and I am sure it will improve over time. If you scroll to the right of the pane, a link allows you to embed functions into your script. Right clicking members now allows you to insert them into scripts. We also now have a new MDX script editor, another feature that I was pleasantly surprised to see. It exhibits the same behavior as the calculation script editor. Moving on to another item, if we look at “Jobs”, we can see that we have a new addition, “Export to Table Format”. I’ll be checking this out in a later post. Curiously enough, one of the items that has been removed from this list is the ability to run MaxL scripts, which was available until pre-patching. So, if you’ve been using that feature, it appears to have been deprecated. Another item that I thought was pretty cool, was the addition of new connection types. The items called out below, weren’t available earlier. 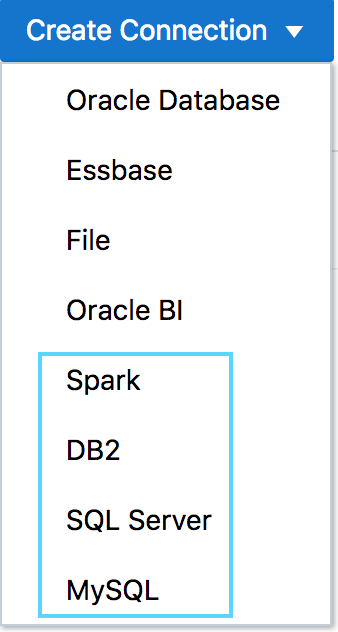 As you can see, Oracle has been busy beefing up some of the capabilities of Essbase. I’ll do another run through of some of the things that have changed, from an automation point of view, in a later post. essbase, essbase cloud, features, new. Bookmark. Thanks. Hope you are doing well, Venkat.